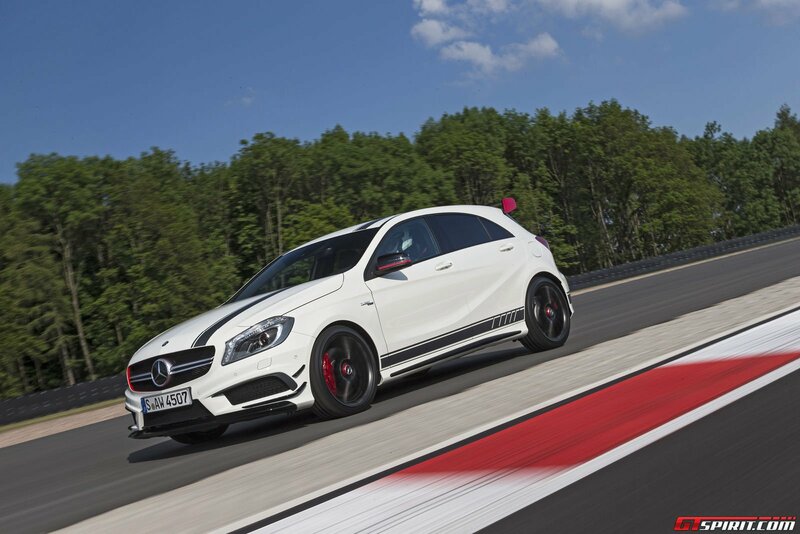 The 2014 Mercedes-Benz A45 AMG marks the start of a new era for Mercedes-Benz and their AMG performance division. AMG’s of the past have had a reputation for being crude, brash, tyre smoking brutes. Yet the A45 AMG seems to curtail that image somewhat. 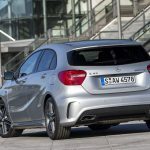 Even if we take the five-door hatch layout out of the equation, the A45 AMG still features a lower output engine and an out-of-character four-wheel drive system. 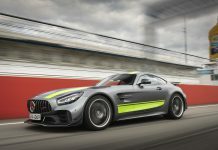 What’s more, Mercedes-Benz claim a 40mpg economy rating in a package to match entry-level supercars. 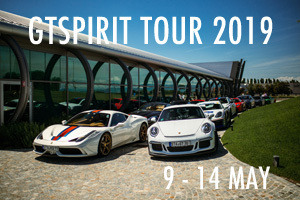 When our invitation came for a test drive, we couldn’t resist. 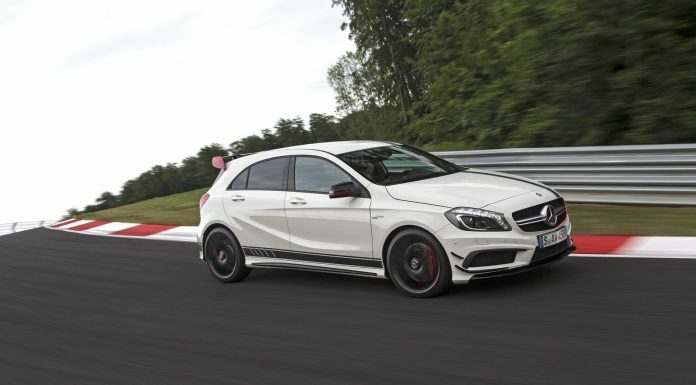 The Mercedes-Benz A45 AMG is the first small car in the Benz lineup to receive the AMG treatment. 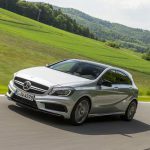 As you will no doubt have realised, the A-Class made stirred up the Mercedes scene last year with their restyling of the A-Class last year. 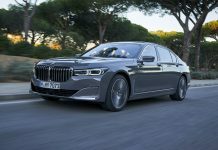 It is of course a crowded market place, with competition coming from all the major German automotive companies. 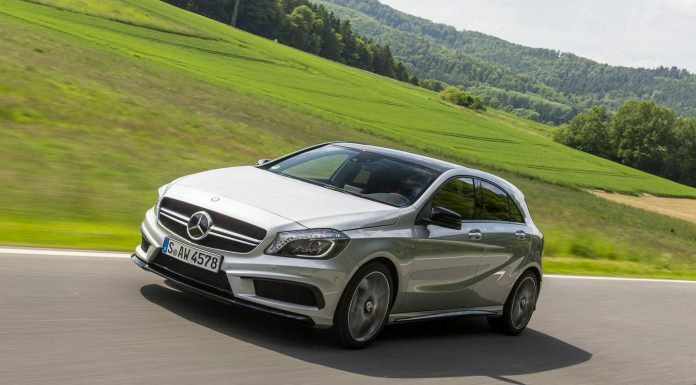 With its four-wheel drive system, the Mercedes-Benz A45 AMG also takes direct aim at the Audi stable. 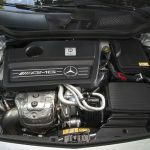 Fitted under the bonnet is a brand new 2.0-litre four-cylinder turbocharged engine rated at 360hp and 450Nm of torque. 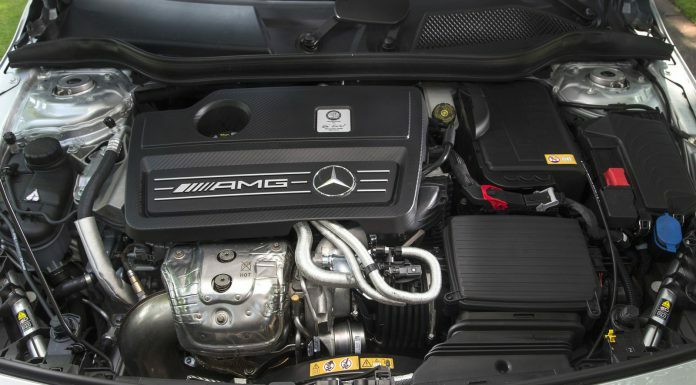 Despite the appreciable reductions, the AMG still sets the bar higher than its rivals. The four-cylinder is the most powerful ‘series production’ four-cyinder engine in the world, as well as the second most power dense unit in existence (the number one spot goes to the McLaren P1’s V8 unit). 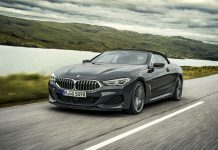 Power is transferred through a familiar 7-speed DCT gearbox. Perhaps the most surprising statistic relates to the car’s performance. 0-100km/h is posible in just 4.6 seconds, just 0.2 seconds slower than the current C63 AMG Sedan. 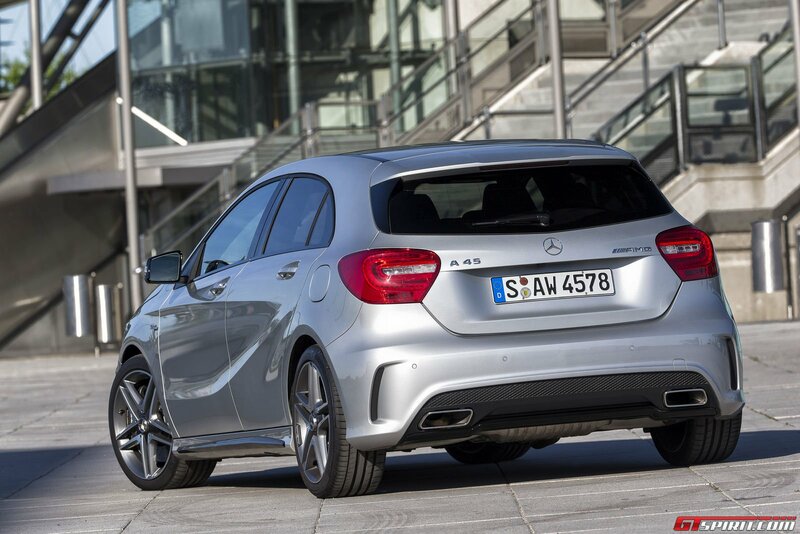 Of course, it is the added traction from the four-wheel drive which makes this possible, yet as far as bang for buck goes, the A45 AMG certainly has the advantage. 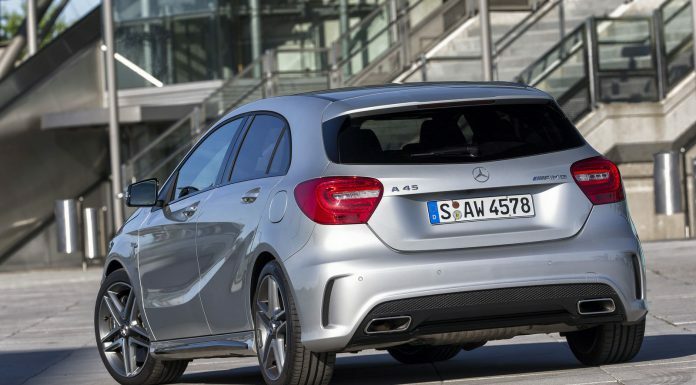 In this market segment, the only real comparator for the A45 AMG is the Audi RS3. 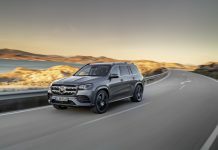 The 4Matic four-wheel drive is actually more of an intelligent power distribution system than it is a permanent four wheel drive system. In most normal driving situations, on the highway or cruising through the city, the A45 AMG will be transferring all of its power to the front wheels in order to maximise efficiency. Yet push the car harder, along a country road perhaps, and the system starts distributing the power 50:50 percent, front and rear. 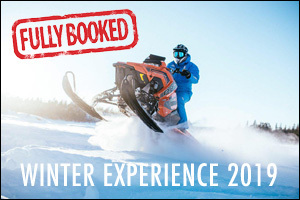 Push it to extremes on a track and the power quickly shifts to the rear on slipping traction. To get the most out of a four-wheel drive system you have to have a solid chassis to begin with. 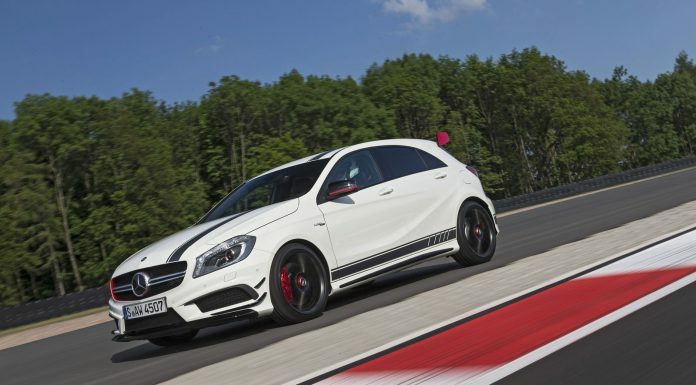 The A45 AMG receives substantial updates over the lower down A250 AMG model. The front receives a variety of new components, anti-roll bars, shock absorbers and more. Whilst the rear receives a complete overhaul. The result is a stiff ride, perhaps a little harsh over bumpier road surfaces but actually, it rides a little better than the standard models. Inside, the Mercedes-Benz A45 AMG features a fantastic set of seats that grip the driver perfectly. The interior gets a faux carbon fibre trim with leather and alcantara adorning other surfaces. Red accents throughout the cabin provide some respite from the solid black of our test car. It falls short in the same areas as the normal A-Class models too. For some it will feel a little claustrophobic on account of the upright dashboard, others will criticise it for the narrow boot opening. It is what you would expect though, a thoroughly comfortable and modern place to be. 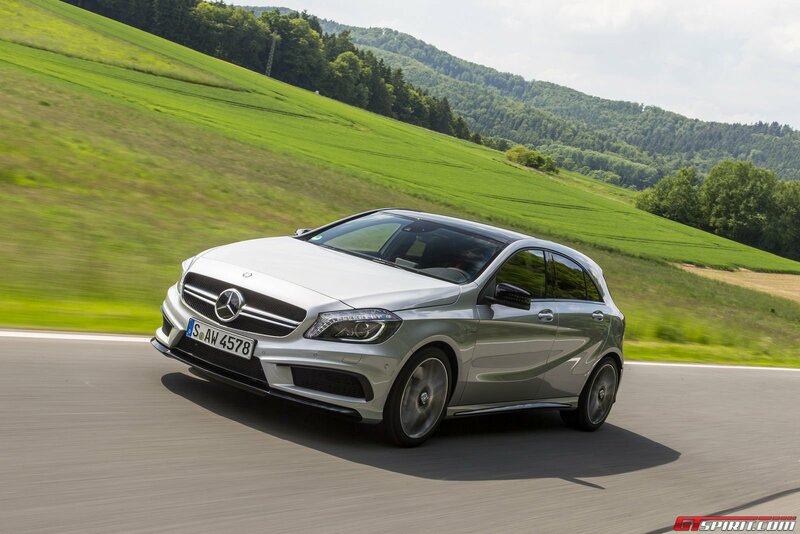 On the quiet roads in the center of Germany, the A45 AMG started to show its full potential. The 360hp doesn’t fail to disappoint on twisty roads. The exhaust offers a fanstic rumble when shifting and idling. Thanks to the four-wheel drive system the grip is tremendous, yet it can also become a limitation. It is noticeably less playful than a similar rear wheel drive hatch. However, in this segment there are few cars that can go round a bend quicker than the new A45 AMG. 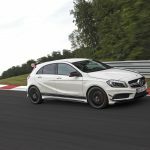 After our tour through the German countryside we also had the opportunity to take the extra racy Mercedes-Benz A45 AMG Edition 1 around the brand new Bilster Berg race track. The Edition 1 feaures a special aerodynamic and styling package that adds a racy look to the small Benz. 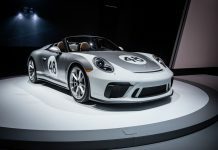 The changes are purely visual and performance remains the same fromt the 2.0 liter four cylinder engine. 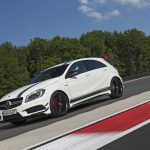 Out on track, the A45 AMG gave us a better opportunity to push the car to the limits and test the engine, gearbox and four-wheel drive system. The A45 AMG is very well balanced and in some sections quicker than the more powerful SLS AMG. The A45 feels at home at Bilster Berg with its huge height differences and technical combinations of chicanes. 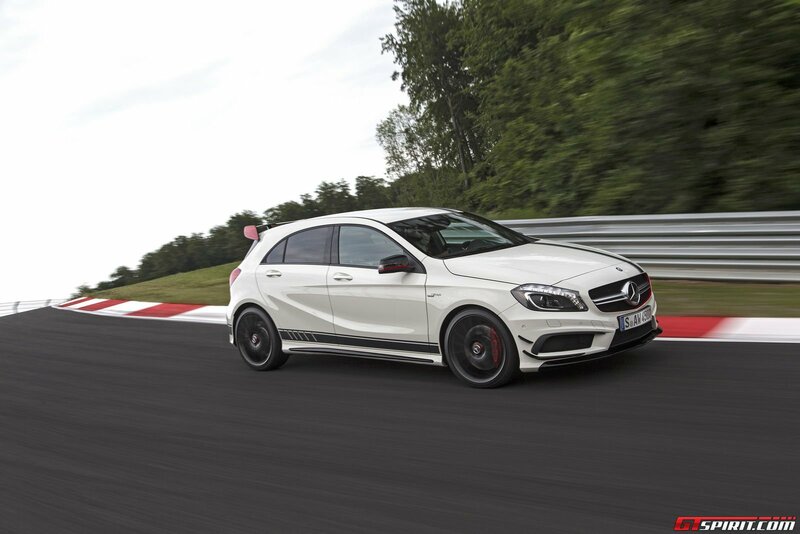 For those that are not into track driving or pushing the car to the limits, the A45 AMG still has plenty to offer. 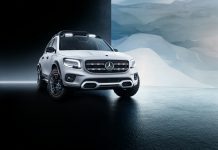 You can spec it with pretty much any safety and assistance system Mercedes has to offer. From lane assist to active safety and adaptive cruise control to park assistance. 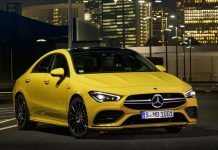 Entertainment wise the A45 AMG offers multiple options to store and stream your favorite music, your phone connects over bluetooth and the navigation can fetch live traffic information via the internet. 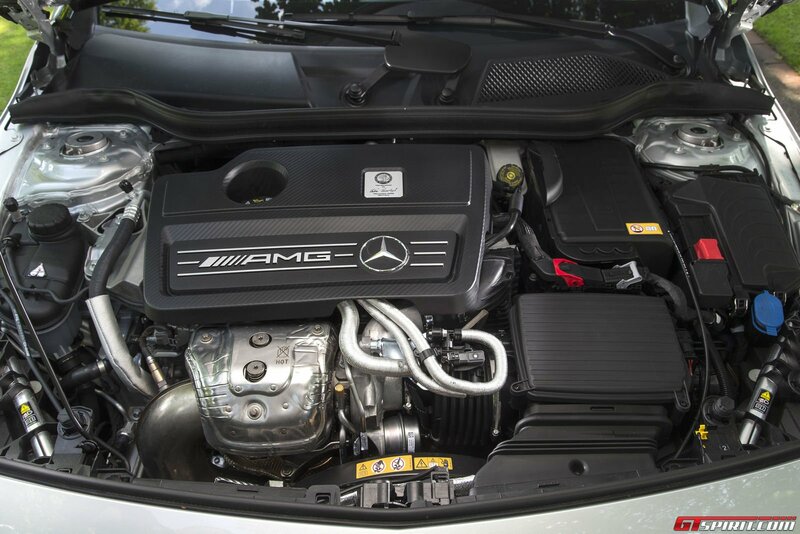 Overall the 2014 A45 AMG is a great little car, offering tremendous grip and a unique engine that is both efficient and fast (an odd combination for a 360hp turbo-charged engine!). Depending on how you spec it, it can be as sporty or luxurious as you want it to be. Sadly we have to disappoint Benz and hot hatch fans in the United States, only the four-door coupe CLA 45 AMG will make it across to the US of A.